Google has quietly rolled out a controversial update to its Android TV operating system that pushes a row of “sponsored” content to the top of the home screen of some Sony TVs. XDA Developers quotes Google as saying the sponsored content is a “pilot program”. 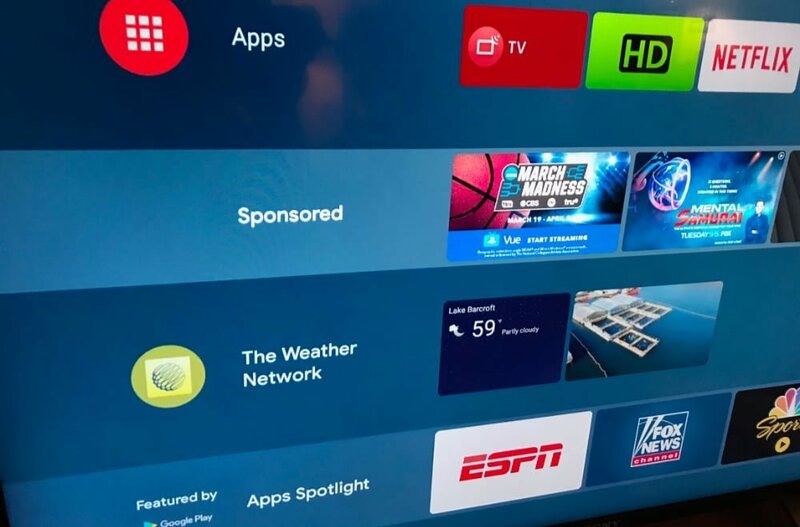 It follows the addition of an “Apps Spotlight” row at the bottom of the Android TV home screen that was introduced last year to display new software applications. The sponsored content, which is essentially just a cover for paid ads, apparently appears on all Sony Android TVs, including some of its latest LCD and OLED models. Sony has confirmed the update on its support page, saying that the channel is “managed by Google” and that the only way to remove it is by creating a “restricted profile”. The update doesn’t appear to affect Android TVs from other brands such as Hisense, Philips and TCL at this time, but it seems likely that the ads will appear on all of them later if the pilot is successful. However, Nvidia has told Ars Technica that it has no plans to add the sponsored content to its Android-powered SHIELD set top box. The idea of pushing ads to the TV screen is a controversial one, but Google is certainly not alone. Other platforms including Samsung’s Tizen, LG’s webOS, and Amazon FireTV also feature ads on user’s home screens. Roku and TiVo also do the same, and have caught some flak for doing so. Vizio also supports ads on its TVs, even going as far as to collect data on people’s viewing habits to target those ads. The company later admitted it was wrong to do so, and has offered up $17 million in compensation for affected customers.